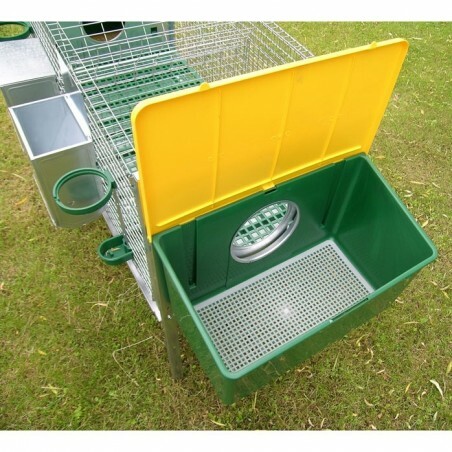 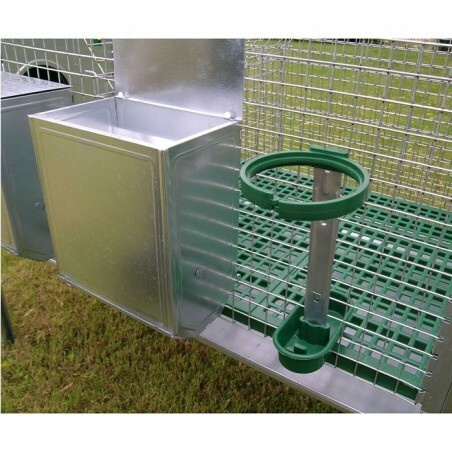 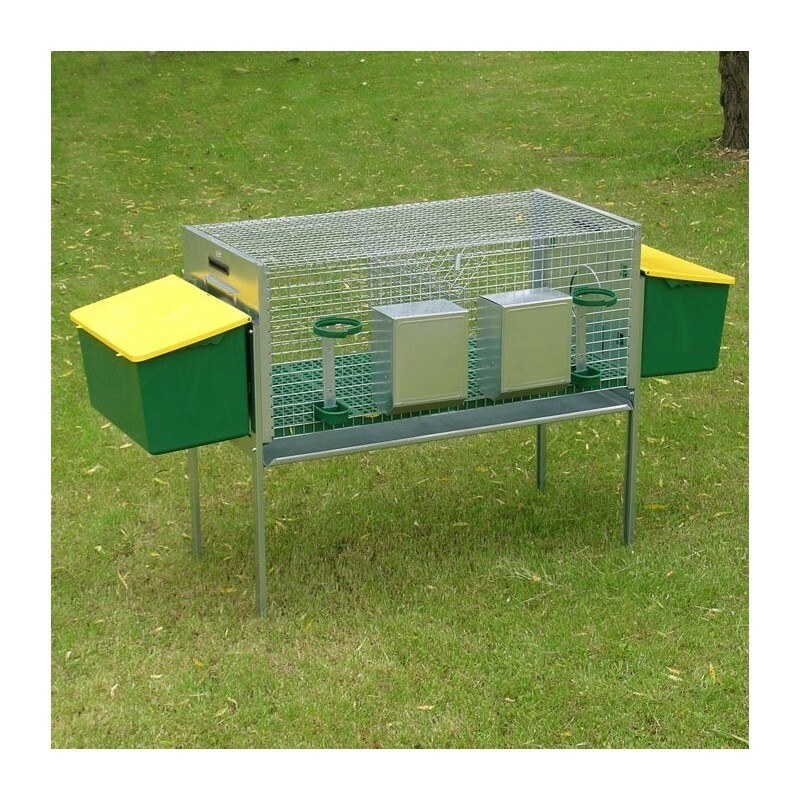 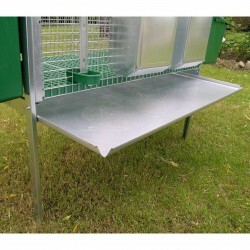 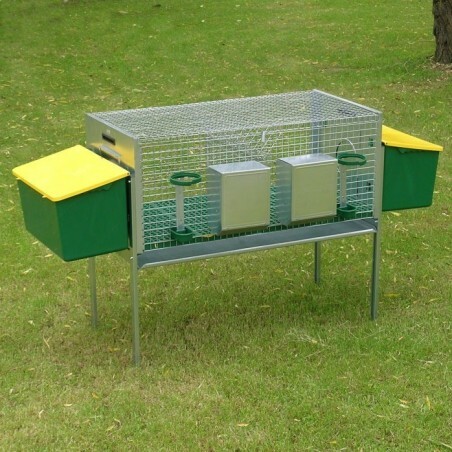 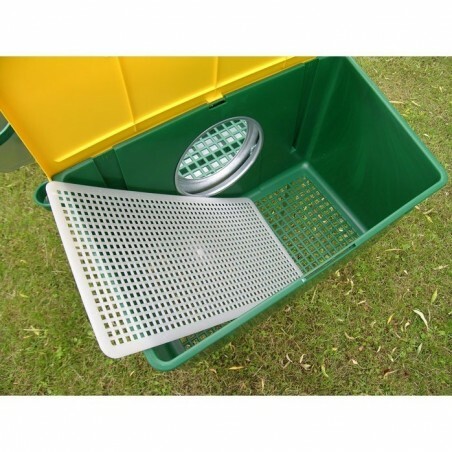 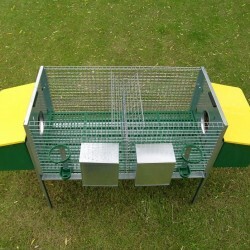 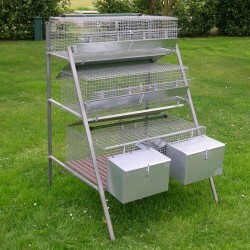 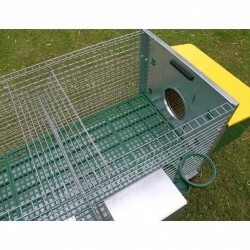 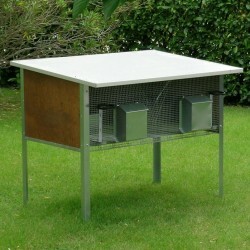 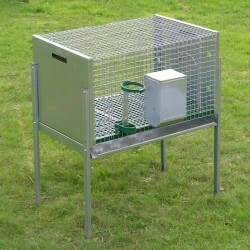 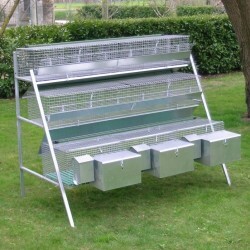 This rabbit cage is suitable for 2 breed, and is equipped with a rack for hay, plastic bottom grid and manure plate removable. The cage is full of feeders, drinkers bottle holder and external nests in plastic. The nests are removable and can be replaced with locking plate, so that the rabbit hutch becomes completely for fattening.